If the display on your information screen has stopped working, don’t replace it. Instead, send it to MyAirbags for a fast, affordable repair that will have it functioning as if it was brand new. We offer a 24-hour turnaround, which means that your screen will be back in your hands, working properly, and covered by a lifetime warranty, in the shortest amount of time possible. Search by vehicle to see if we service your specific model. Don’t buy new or used part, send your original for repair and Save Hundreds! 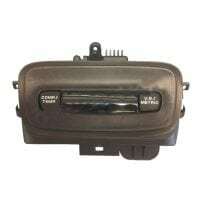 This is a Repair & Return Service for your Dodge Ram (1994-2001) overhead compass information display. Display restored to its original brightness Fast & Easy 24 hour turnaround. Our service is 100% guaranteed or your money back. Order today and save! Don’t buy new or used part, send your original for repair and Save Hundreds! Fast & Easy 24 hour turnaround. Our service is 100% guaranteed or your money back. Order today and save! Don’t buy new or used part, send your original for repair and Save Hundreds! This is a Repair & Return Service for overhead compass compass information display. Display restored to its original brightness for 1999-2009 Mercury Marquis and Mountaineer, 1997-2002 Ford Expedition, 1998-2011 Ford Crown Victoria Fast & Easy 24 hour turnaround. Our service is 100% guaranteed or your money back. Order today and save! Don’t buy new or used part, send your original for repair and Save Hundreds! 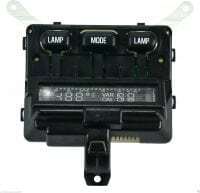 This is a Repair & Return Service for your Mercury Grand-Marquis (2003-2009) overhead compass information display. Display restored to its original brightness Fast & Easy 24 hour turnaround. Our service is 100% guaranteed or your money back. Order today and save! Don’t buy new or used part, send your original for repair and Save Hundreds! 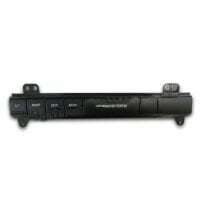 This is a Repair & Return Service for your Jeep Grand-Cherokee (2005-2006) overhead compass information display. Display restored to its original brightness. Fast & Easy 24 hour turnaround. Our service is 100% guaranteed or your money back. Order today and save! Don’t buy new or used part, send your original for repair and Save Hundreds! 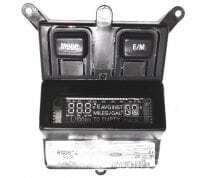 This is a Repair & Return Service for your Toyota Tacoma (2005-2008) overhead compass compass information display. Display restored to its original brightness Fast & Easy 24 hour turnaround. Our service is 100% guaranteed or your money back. Order today and save!